Notes: "To the American people."--p.3. Notes: 6p.bill; 36 x 28 cm. Notes: First line: Deep source of power, great fount of light. Notes: For solo or chorus. 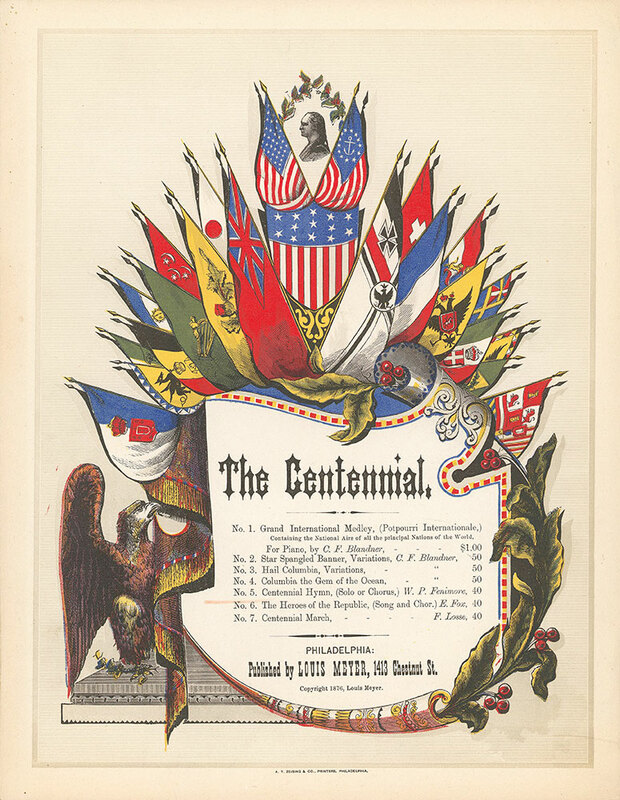 Notes: Sheet music for "Centennial hymn." An array of flags of all nations with a profile of George Washington at top and an eagle at bottom. Color lithograph on white paper.